A brownfield site, unoccupied for 10 years, whose electrical infrastructure had been removed or stolen. The site had recently completed a six-year toxic cleanup. We purchased the facility with an SBA 504 loan, approved because development in this blighted area would bring employment. We generated our own electrical power for the first two years of occupancy. As we slowly repaired the site, tenants moved into the improved areas. Once the threshold for rental income was met, we obtained a hard money loan to carry out the improvements required by the planning process. Eventually we secured conventional financing. The Rheem Plant is a 215,000 SF, 15.5 acre multi-tenant facility in Richmond, California. Zoned as light industrial, the building is occupied by a powder coating firm, a horticultural vermiculite firm, a plastic HDPE recycler, a specialty nursery and a Chinese pottery importer, and several small construction firms. 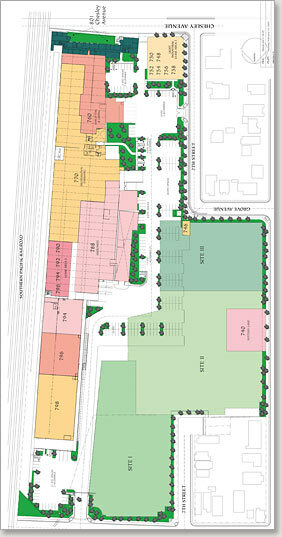 The building has manufacturing parking of one per thousand and complies with landscape design and zoning guidelines. The facility is served by a PGE, 12 KV primary electrical, which includes downstream power of 2000 amps, 480V 3 phase. The Rheem plant, named after the first general manager of the Richmond Chevron Refinery, was a manufacturing site for steel barrels for fuels and lubricants. During WWII production was converted to large ordnance steel casings. One of the largest employers in the county, at its height the plant employed 1,200 people. In 1980 the company was broken up and the Rheem plant was closed. Decades of industrial use left the site highly contaminated and it was placed under the jurisdiction of the Regional Water Control Board. Although 6 years of remediation merited a "no further action" letter, the plant could not attract a buyer. This is hardly surprising. All electrical infrastructure had been removed under suspicion of PCB's, not a single tree graced the site, and a neglected roof could not keep the interior dry on rainy days. On September 23, 1997, Amigo Bay & Lining, MSH Group's first incarnation, burned to the ground in a spectacular six-alarm blaze in Oakland, California. In order to ressurect itself and consolidate all its sites, MSH Group purchased the blighted Rheem Plant, agreeing to an indemnification agreement with the seller. 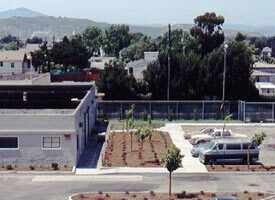 The site was immediately placed under strict planning control by the Contra Costa Community Development Department. CEQA mitigations required the construction of sidewalks surrounding the facility, 10% landscaping, compliant parking design, facility redesign, upgrades to rail crossings, and road and drainage improvements. All work was guaranteed by a performance bond. 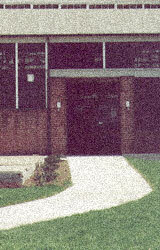 With all improvements completed in 2001, today the facility is fully occupied by small and medium size employers.